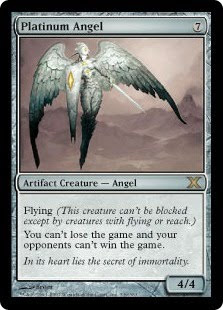 To wrap up our series of posts on Magic: The Gathering, we'll change gears and consider one perhaps less substantive but nevertheless fascinating aspect of the game which occasionally has some overlap with religious imagery. 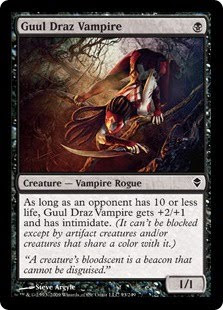 Magic cards' art is for many players and collectors an important attraction, and sometimes the primary attraction to the game. Indeed, when I first encountered Magic in elementary school, I never had any idea how to play, but collected the cards for their art. Here too the figure is presented straight on against an unobtrusive background. The focus is exclusively on the figure itself, which is posed in such a way as to be more or less plainly frontally displayed. This earlier reprint of the same angel creature depicts her closer-up, drawing the eye to the smaller details of her panoply and facial features. Demon cards often employ the same icon-like presentation while turning the mythological subject matter on its head. 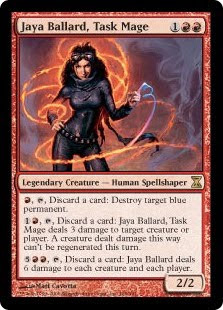 At least for some players or collectors, Magic cards themselves more than passingly resemble icons. Some with particular attachment to certain creatures regard those cards as lucky and will play them even when other cards might be better-suited to their deck. Certain particularly rare or highly valuable cards may be regarded and handled with especial awe and respect, though debatably this is due not to their iconic qualities but to their value. More solid examples exist, however. I have met one player — and I have no doubt others share his outlook — who behaves as if the creatures represented by his cards are somehow substantially manifested by those cards. He claims that the creatures in a deck will grow dissatisfied with him if he should fail to play with that deck for too long a time, and that the deck will not play well until he has convinced the creatures of the deck that his affection and respect has not been removed from them. Even more fascinatingly, I have known one player to actually carry a copy of a certain card (see figure 8) on his person at all times as an apotropaic device. While he is unconcerned with the card art, he believes carrying the card will apply its protective ability to him generally in a comparable fashion to that in which it does in a game. 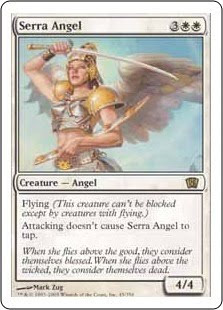 Generally I do not contend that regarding Magic cards as icons is a widespread phenomenon. However, if nothing else the superficial similarities between some cards and the icons which serve for many as devotional paraphernalia is interesting to observe. For some, clearly this similarity suffices to engender a response which we might consider religious. 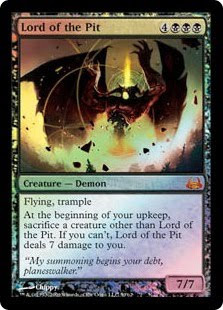 Martin, thanks for the work you put into this series on Magic: The Gathering. Very thoughtful and thought-provoking stuff. 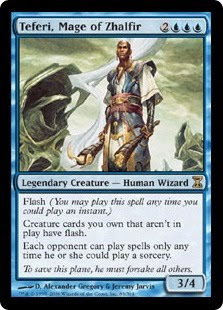 Although this is along different lines, here's something I put together that also sits at the intersection of Magic and religion, which I call "The Gospel According to Magic: The Gathering": http://www.youtube.com/watch?v=39VWld149LU. I appreciate this series, but I'm not quite sure what is to be gained from the discussion other than an academic discussion of ritual and activities in modern life that can be viewed as ritualistic, with or without religious import. Couldn't a similar argument be fashioned for playing any game? Wouldn't playing Monopoly, where I adhere to a specific form and follow rules not set forth by myself or other participants, likewise be "ritual"? In other words, what does this mean other than observing that in modern life we engage in non-religious behaviors that could be considered ritual. Cory — Thanks for your contribution. I feel your title is a bit misleading, as the video's gospel is a Christian story, one which isn't present among the many stories told through and hinted at by Magic over the years. A genuine "Gospel According to Magic" would need to take Magic on its own terms, as it were, and flesh out the story the cards and the game themselves tell. Falcon — A thoughtful comment. I've got a two-part response for you. Firstly, the short answer: yes. There is significant overlap between ritual behavior and gameplay behavior generally, and it'd be easy to analyze many games — if not most any game — in terms of ritual. Secondly, however, while there does exist this superficial resemblance between proper ritual and games (and potentially other non-religious behaviors), the thing to remember which differentiates ritual is that it supports a conceptual hierarchy including ultimate sacred postulates and cosmological axioms. I singled out Magic for ritual analysis because I feel that the game to a certain extent possesses such a conceptual framework, which at least resembles what we might call a religious one. In a future post I will discuss an additional point of Roy Rappaport's: that performance of a ritual entails acceptance of the concepts it encodes. That may shed some light on why Magic makes a particularly good subject, but that isn't to say that there aren't other games or other ostensibly non-religious behaviors which mightn't be susceptible to similar analysis. Additionally, I may return to Magic once again and offer a tentative description of what its religious conceptual framework seems to be. "I have a (now beat-up) copy of Adventuring Gear that I keep in my wallet at all times. You know, so I have my gear with me in case I decide to go adventuring." I'll admit that it's not entirely relevant, but it is interesting to see that these sort of thoughts permeate all levels of Magic player, from the kitchen-table casual player to the Pro-Tour competitive columnist.